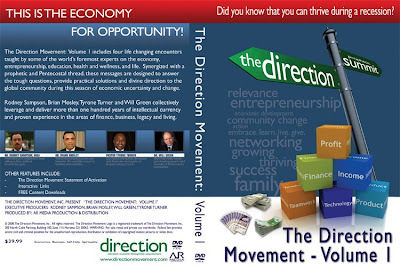 The Direction Movement: You can thrive during a recession? You can thrive during a recession? Did you know that you can thrive during a recession? Yes, you can. With this information, you will. 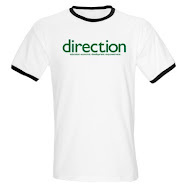 The Direction Movement provides the answers in this 4 message exclusive series. Volume One includes over 100 years of intellectual currency and practial experience in messages from Dr. Rodney Sampson, Dr. Brian Mosley, Dr. Will Green and Pastor Tyrone Turner. Synergized with a prophetic and Pentecostal thread, these messages are designed to answer the tough questions you have about the recession, provide practical solutions and provide divine direction to the global community during this season of economic uncertainty and change. If you are smart, you will purchase a copy for yourself and copies for your closest family and friends. Detertine now that you are not participating in the recession and that you are living in a "recession proof zone"!